March on HUD demanding funds to preserve the Chinatown/ International District (ID), Feburary 3, 1975. Photo © YK Kuniyuki. 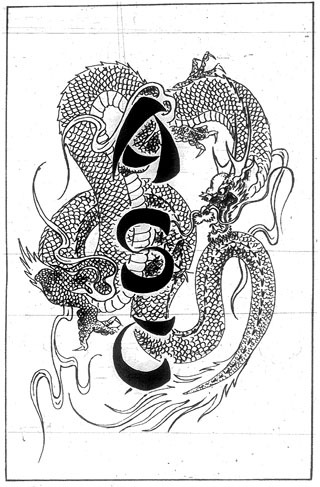 The Asian American movement that promoted this new identity– which initially united Japanese, Chinese, and Filipino Americans, and then expanded to include Koreans, Southeast and South Asians, and Pacific Islanders– was driven largely by student activists radicalized by anti-Vietnam war and black power movements. Challenging stereotypes about Asian “passivity”, and rejecting the exoticism and racism of “oriental” labels, Asian American activists mobilized this new consciousness to demand an end to racist hiring practices, biased school curricula, demeaning media stereotypes, residential discrimination, and the gentrification of historically Asian American neighborhoods. And though it was primarily a youth movement, and never completely spoke for all the communities it sought to represent, the Asian American movement arguably transformed older community institutions, created new ones, and dramatically advanced the development of Asian American power in American urban politics. In Seattle, the Asian American movement emerged from an unusually deep legacy of multi-racial coalition building. During the 1930s, successful campaigns against bills that would have made interracial marriage illegal in Washington State brought Japanese, Chinese, and Filipino activists together, though Filipino activists took the lead. After World War II, the Jackson Street Community Council brought community leaders from Seattle’s Asian and African American communities together to advocate for neighborhood improvement issues, which frequently included important civil rights advocacy. And in the early 1960s, City Council member Wing Luke and Human Rights Commission Chairman Phil Hayasaka helped connect Asian American communities to the struggle for open housing in Seattle. But it wasn’t until Rev. Mineo Katigiri formed the Asian Coalition for Equality (ACE) in 1969, and student activists (some members of ACE) formed the Oriental Student Union (OSU) at Seattle Central Community College and the UW Asian American Student Coalition (ASC) soon after, that organizations promoting a pan-Asian identity sparked a specifically Asian American movement in Seattle. This special section of the Seattle Civil Rights and Labor History Project presents an important and rare collection of documents, photographs, and alternative newspaper articles to document some early features of the history of that movement. It is made possible with gracious contributions of photographs and rare documents from Larry Matsuda, Al Sugiyama, YK Kuniyuki, Ben Yorita, and Eugene Tagawa. Asian Coalition for Equality: An organization that organized Asian Americans in solidarity with black civil rights campaigns, it quickly expanded to combat specifically anti-Asian forms of discrimination as well. It provided a precursor to and important training ground for later student activists. 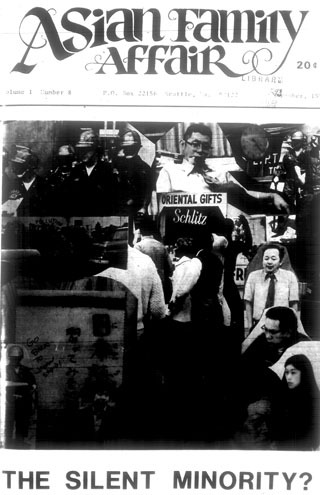 Oriental Student Union Sit-In: In the Winter of 1971, the Oriental Student Union (OSU) sought to close down Seattle Central Community College with direct action protests modeled after the school’s Black Student Union protests of 1969. They challenged the school’s first black President, hired because of the BSU protests. Kingdome Protest/ HUD March: The Groundbreaking of the Kingdome on November 2,1972 was supposed to be a public celebration. But Asian youth, upset that the stadium was located immediately next to Seattle’s International District (ID), disrupted the event. Less than two weeks later, a march on the Housing and Urban Development (HUD) offices kicked off the neighborhood’s preservation movement. 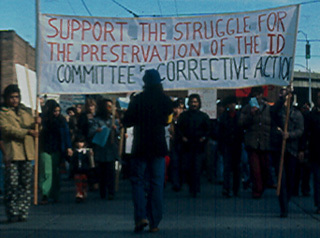 International District Preservation Movement: A series of negotiations from 1973-75, culminating in a February, 1975 march on King County Executive John Spellman’s office, helped Asian American activists gain mitigation money from the Kingdome’s construction to help preserve Seattle’s International District.